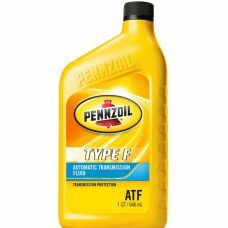 PENNZOIL Type F ATF is a quality automatic transmission fluid specially formulated to meet the lubrication requirements of specific automatic transmission units, power steering systems and hydraulic systems. It is based on a blend of high viscosity index oils and proven additives, to provide protection in units requiring a non-friction modified type fluid. 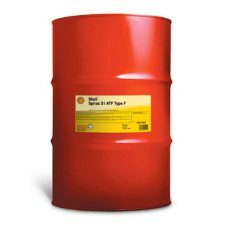 SHELL Spirax S1 ATF Type F is a high quality automatic transmission fluid specially formulated to meet the lubrication requirements of specific automatic transmission units, power steering systems and hydraulic systems. It is based on a blend of high viscosity index oils and proven additives, to provide protection in units requiring a non-friction modified type fluid.